Summary: A middle-aged man returnes to his childhood hometown because of a funeral. Afterwards, instead of driving to his sister’s house, he just drives across the landscape and lands on a farm (at the end of a lane), where his childhood friend Lettie Hempstock once lived. Behind the house is a pond that Lettie always called ‘her ocean’. When the man arrives at the pond he remembers long-lost and forgotten events from the past … involving Lettie, her and his family members, supernaturals, worms and other scary things. Conclusion: Since I am not that into the fantasy genre, I was sceptical if I would like the story (supernaturals!). But as I just found out originally Gaiman wrote it for his wife, who isn’t into fantasy as much as me. The book really grabbed me and I couldn’t put it down. 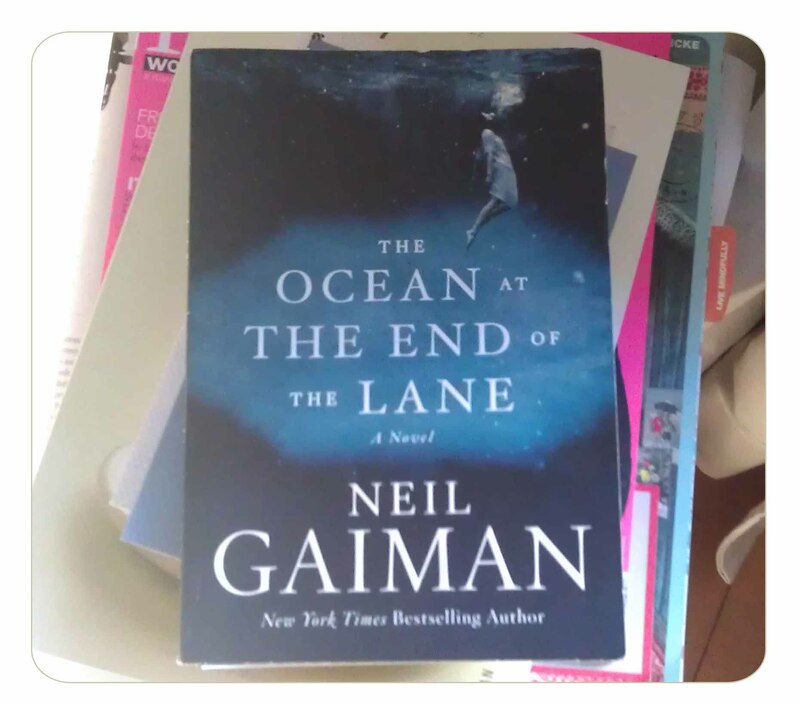 Neil Gaiman’s words are wonderfully orchestrated – it was a treat for a book-worm (no pun intended) like me and touches all the big life topics: Growing-up, friendship, love, parenthood, play, adventures, responsibility. A big, big must-read … even for non-fantasy fans! I wish you a thrilling weekend with lots of happy-mysterious moments! That I was exactly my feeling while reading it :D!